Just returned from a whirlwind trip to Europe to speak at the Prague Film School, teach a workshop at the English Theatre Berlin (alongside casting directors Nancy Bishop and Emma Style) and attend EFP‘s fantastic Shooting Stars program at Berlinale. Last year’s program featured David Kross (“The Reader” opposite Kate Winslet) and Carey Mulligan (nominated for an Oscar for “An Education”), so the caliber of talent is high and I can’t wait to see what this year’s honorees will accomplish. Lana will be speaking on Sunday, February 14th, 2010, but classes will be offered all weekend. Here’s a shout out to Nancy! About Nancy: Emmy-award nominated, American Casting Director, Nancy Bishop, has cast over sixty American and British films, from her base in Prague. She has cast for major feature films including Roman Polanski’s Oliver Twist, Hellboy, Bourne Identity, and the recently released Wanted and Prince Caspian. 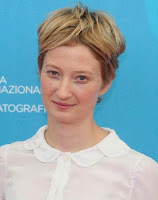 She has been teaching casting workshops throughout Europe, the UK, and the US, and the head of the Acting for Film Department at the Prague Film. She is a member of The Casting Society of America, and the International Network of Casting Directors. About Emma: Emma Style has been casting since 1984. Her work includes film, television and theatre, past work includes Tea with Mussolini, Emmy Award winning Prime Suspect V and multi BAFTA award winning Our Friends in the North. More recently Emma has been casting The Take, Hogfather and The Colour of Magic. 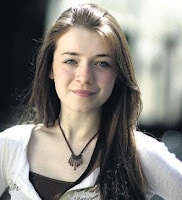 This year her work to be shown includes Going Postal for SKY, Exam, a low budget feature film and she is currently casting The Silence, a four part BBC One Drama. About Lana: Lana Veenker began her career in London and, launched what is now one of the most successful location casting companies in the US. She has found her calling in helping actors who live outside Hollywood break into the business. Her numerous projects include casting on Extraordinary Measures, starring Harrison Ford; Twilight; The Road starring Viggo Mortensen; and 15 episodes of TNT’s Leverage. She is a member of the Casting Society of America and the International Network of Casting Directors. Check out Nancy’s blog and website for more information. I’m at JFK airport on my way back from Shooting Stars at the Berlin Film Festival. * An announcement of the next winner of the career consultation contest (I know; this has dragged on for a while! I guess that’s the price of being a working CD). 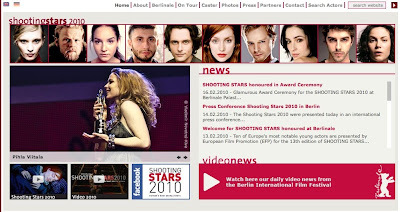 * A full report from Berlin, where I got to meet ten of Europe’s best up-and-coming actors. * The latest news on projects we’re casting. * An announcement about upcoming workshops. * And more fun stuff! 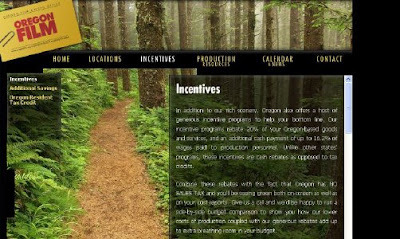 Just as soon as I recover from jetlag…..
Film production has gone crazy in Oregon since the legislature passed some incentive programs to encourage producers to shoot here. In LA, they’re calling us the new Toronto, the new Vancouver, the new New Mexico, etc. We started up on a new project almost immediately after my return from Berlin, met with the producer of a second film hoping to shoot this summer and are about to begin casting on a third one headed this way. 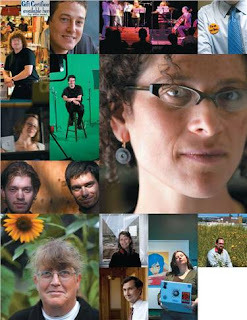 This is in addition to a slew of commercial work, for clients like Nintendo, Microsoft, HP and others. There are a handful of other features floating around out there, but we’re still waiting to hear which ones are for certain. I guess that’s the one advantage to the collapse of the dollar. 😐 I have over a dozen screenplays on my desk right now. My European counterparts almost fainted at that! Production has been slow, slow, slow in Europe, as it’s much too dear for Hollywood these days. This week, Paranoid Park opens in Portland at Cinema 21. Hope to see you all there! Be sure to catch “4 Months, 3 Weeks, 2 Days” too, if you can. The Palme d’Or winning film stars the charming Anamaria Marinka, who is about to explode internationally. Next on the agenda: A trip to the Big Apple. Okay, so after the LA “Untraceable” premiere, I took off for the Berlin International Film Festival. 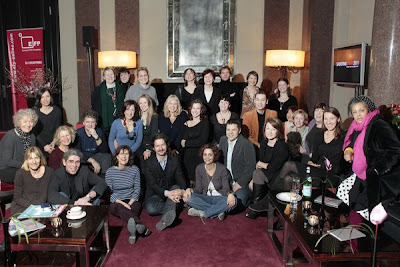 I was one of about 35 casting directors participating in European Film Promotion’s “Shooting Stars” program, in which the top nine up-and-coming European actors are presented to the press and to casting directors from over a dozen countries during the Berlinale. They were all delightful and talented. I also had the pleasure of participating in a casting director panel discussion at the Berlinale Talent Campus, with casting directors from Prague, Paris, Lisbon, London and Copenhagen. It was fascinating to see how differently we all work and to pick up some new ideas! I can’t wait to go back next year. I made some great connections with casting directors from all over Europe, whom I’m sure I will stay in contact with, so if anyone is looking to cast in Rome or Berlin or Zurich, etc., etc., let me know. I’m dialed in! 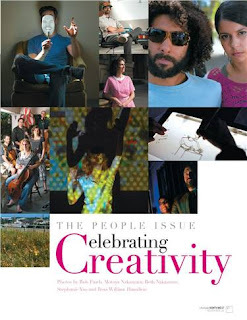 Thanks again to the EFP and the International Network of Casting Directors! Next up: Back to Portland!